Going into private practice was one of the scariest decisions I’ve ever made, but it has turned out to be one of the most enjoyable and fulfilling things I’ve ever done. I’ve never looked back. The two questions I get asked most by other therapists contemplating the same decision are “How busy are you?” and ”Where do your clients come from?” If you are going to be successful in private practice, you must develop a resilient caseload. As therapists, we naturally want to focus on our one-on-one therapy work, and our continuing personal development, but being a great practitioner won’t bring clients to your door until you have been established for a while and you begin to benefit from word of mouth recommendations. Getting a handle on marketing and all the other aspects of running a business has to be your priority. It took three months for me to generate my first enquiries and then I got two phone call enquiries on the same day and my new business was launched. Since then, I’ve read that it generally takes about three months for any new business to generate enquiries. I wish I’d known that before! It took another 3 years for me to be consistently generating a consistent referral rate at the level I wanted. There isn’t much out there on building a resilient caseload specifically CBT therapists, so allow me to share with you the strategies I’ve learned the hard way. What will a stable client base give you? Financial security – If you have no clients you have no business, it’s as simple as that. 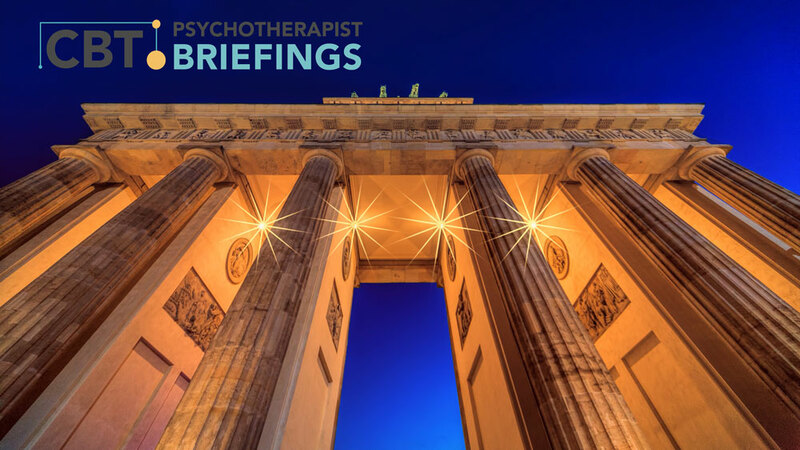 Focus on delivering therapy – When you have a really resilient caseload, you can focus your attention on delivering great CBT, knowing that you have your marketing covered. Reduces anxiety – When you are secure in your business you can focus on your work rather than feeling anxious and distracted by the worry of finding clients. Have confidence in saying no – Freedom from worries about not having sufficient clients means the freedom to choose what demographic; types of presenting concerns; referral agents you want to work with. Stability in a financial downturn – A well-managed practice which is strong on marketing will be ahead of the competition, and in a strong position during leaner times. As all psychological therapists know, having the right attitude in life is all-important. You are most likely to be successful if you believe that there are plenty of clients out there, just waiting to consult you. They just need to receive the right messages, which will motivate them to beat a trail to your door. Building a business is like pushing a car up and over the top of a hill. It takes a lot more effort at the beginning and then becomes much easier. Remember the three months it takes before the enquiries start top come in? There is an initial, front-end investment, for little reward and then, if you are doing it right, it will just take a relatively small effort to pep up your client referrals on a regular basis after that. Make yourself aware of what other practitioners do to market themselves as you develop your practice, but then focus on enacting your strategy without too much thought about the competition. Remember what we tell our clients: compare and despair! 1 – Develop a clear marketing message that is targeted to your chosen audience. If you try to appeal to everyone you will end up appealing to no-one. Ensure your message fits with what your audience want to hear. It may seem daunting to appeal to a specific audience and you might find yourself worrying that you are excluding people by targeting your message, but take it from me, the more I have narrowed my target market the busier I have become. By doing niche marketing, I’m working with exactly the clients I want, and I’m busier than ever. 2 – Decide on the key elements you will invest in to drive your business and keep focused – Most people find that these are: Setting up a website – search engine optimisation – blog writing – using social media branding, and educating. 3 – Apply the niche marketing approach to developing your referral sources too. Build relationships with the people and organisations who come into contact with the client groups you want to work with. This will take time. If you spread yourself too thinly it will take even more time. 4 – Raise your profile and establish yourself as a presence in both your local community and online. Again, this takes time, but think of it as an investment. Marketing professionals reckon potential customers need to hear about a product or service up to 7 times before they are likely to buy. Successful marketing is more like an old fashioned courtship than speed dating! If you would like to learn more about building a resilient caseload, book a place on my webinar on Monday 15th October 2018, 5pm to 6.30pm. Spaces are limited so book early to avoid disappointment. The webinar will give you a set of practical, effective strategies to grow a full and stable caseload.